The slatted panel on the left is an exterior door that slides right to cover the wall panel on the right. It could have been a door on a house or a store front. 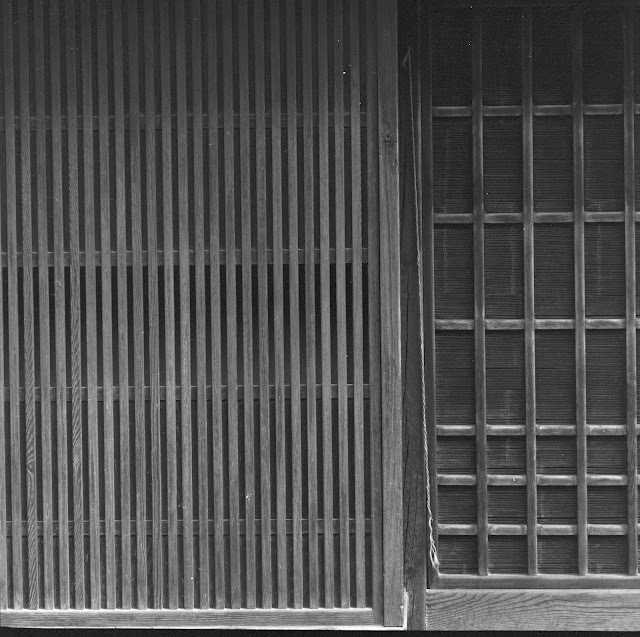 It wasn't unusual for exterior doors in small towns in Japan to have no latch or lock. This was probably taken in the late 1960s.